1. Theosophy teaches – an Absolute Infinite Omnipresent Divine Principle which is the source and substratum of all. It can be better spoken of as the infinite and eternal ENERGY and CONSCIOUSNESS which is all and in all. It is the Causeless Cause and the Rootless Root of all. It is impersonal, immutable, and unconditioned. It is the “One and Only” eternal Reality. It is really beyond all definition and description but is THAT which is referred to in Hinduism as Brahman or Parabrahm, in Buddhism as Adi-Buddhi, and in the Kabbalah as Ain-Soph. It is not a Person or Being of any kind. It would be misleading and mis-representative to speak of it as “God” since it is not any type of God. It is the infinite and eternal ENERGY and CONSCIOUSNESS which is all and in all. 2. Theosophy teaches – the divinity and unity of all life. Every living thing is divine and spiritual in its innermost essence, which is its true Self. In the higher most part of our being, our Higher Self, each one of us literally is the Brahman referred to above. We are truly all ONE. 4. Theosophy teaches – that the Universe is a cyclic and periodical manifestation. It comes forth into existence from the Divine Principle by means of evolution (not creation) and remains and evolves over an incredibly lengthy period of time. Then it gradually disintegrates and disappears, everything being reabsorbed into Brahman. Eventually, after the same duration of time for which it had existed, it is reborn, on a higher level than before. 5. Theosophy teaches – that the Universe and everything in it is in the constant process of evolution. The evolution of matter and of objective forms is undeniable but the most important aspect of evolution is the evolution and gradual unfoldment, advancement, and development of the unseen inner entities (or souls) through those material/objective forms and bodies. Man descended as a “Divine Spark” into matter and has worked his way up into the human kingdom by passing through the mineral, vegetable, and animal kingdoms in long ages past. Now he is evolving back up towards the consciousness of his true spiritual nature. 6. Theosophy teaches – that human beings actually possess a sevenfold nature. We are each comprised of seven “principles” or components. Three of these are immortal and endure from lifetime to lifetime, while the other four last only for the duration of one lifetime and are new with each successive birth. The Higher Triad consists of (1) Our Divine Self; pure eternal Spirit – called Atman in Theosophy (2) Our Spiritual Soul; the vehicle for the radiation of the light of the Spirit – called Buddhi in Theosophy, and (3) Our individual human soul, which is the same thing as the mind; this is our Ego (in the true sense of that word), our “I” or permanent individuality, the part of us which reincarnates – called Manas in Theosophy. The Lower Quaternary consists of (4) Our passion nature; the element of desire figuratively described as the “animal soul” – called Kama in Theosophy (5) Our vital nature; the life force or life energy which actually keeps us alive and in physical incarnation – called Prana in Theosophy (6) Our astral body; the subtle and unseen blueprint, framework, and mold upon and around which the physical body is built; it can be described as our “energy body,” the vehicle through which Prana flows to the physical body – called Linga Sharira in Theosophy, and (7) Our physical body; which is really nothing more than our outer shell and the vehicle during life for the manifestation of all the other principles – called Sthula Sharira in Theosophy. 7. Theosophy teaches – that reincarnation is the means for the evolution of the human soul. The physical body and personality we have today is only one of many which we have occupied throughout our long evolutionary journey. In the whole scheme of things, this life we are living now amounts to only a chapter, or even only a page, in the whole “book of lives” of our soul. The circumstances, situations, and conditions of each lifetime were formed by our own previous actions, whether we were aware of it or not. In the past we created our present and in the present we are creating our future. No-one can avoid or escape reincarnation, since it is the Law of Nature. The cycle of birth, death, and rebirth (Samsara) only comes to an end when the individual has attained to true spiritual perfection, freedom from all desire, and conscious reunion with the Divine. This is called Nirvana, Moksha, or being reabsorbed in Brahman. 8. Theosophy teaches – that all of life is governed by the Law of Karma. Everything in the Universe is under the sway of Karma. This is the unfailing, unerring, incredibly far reaching Law of cause and effect, action and reaction, sequence and consequence. What we sow, we will eventually reap. What we reap, we have previously sown. This is the way, the means, and the method whereby the Universe maintains its harmony, balance, and equilibrium. Universal equilibrium would be impossible unless the Great Law was constantly adjusting action to reaction and reaction to action. It is a perfect and unalterable Law, impersonal and just. In reality there is no injustice. Each one of us gets exactly what we deserve, for good or bad. The Law of Karma is the law of self-created destiny. Karma and reincarnation are inextricably linked…you can’t have one without the other. 9. Theosophy teaches – that what we call “death” is actually only a transition, a change of state. Our true being can never die. When so-called death occurs, we leave behind on earth our physical body, our astral body, and the force of Prana. We then enter into what could be called the “astral plane,” the psychic atmosphere which most closely surrounds the physical plane. Theosophy calls it Kama Loka. We are unconscious there, in a type of dazed and sleeping state, and undergo the process of separation of our lower and mortal nature from our higher and immortal nature. When this is completed we say that the “second death” has occurred. The principle of Kama and the lower, earthly, and sensual elements of Manas remain behind in Kama Loka as a type of senseless and soulless shell and eventually fade out and disintegrate. Meanwhile, the soul enters into the “gestation state,” a period of profound unconsciousness and inaction, before eventually waking into the Heaven state. This is called Devachan in Theosophy. This is not a place or location but a state. It is the Heaven of the individual’s dreams, created unwittingly out of their own consciousness, and perfectly representing the type of afterlife they had believed in, thought about, and expected, during life. The Devachanic state lasts in exact accordance with the amount or force of positive Karma accrued by the individual during the last lifetime. Then reincarnation inevitably takes place. Very materialistic and sensually oriented souls often reincarnate quite quickly but for others the period of Devachan may last decades, centuries, or even thousands of years. 10. Theosophy teaches – that practices such as spiritualism, mediumship, and channeling are dangerous and detrimental to both the living and the dead. Departed souls cannot see us. Apart from a very small number of exceptions, it is impossible for a departed soul to communicate with those left behind on earth through a medium or even to see or have any knowledge whatsoever of what is going on here. Devachan would not be a state of perfect bliss, peace, and joy if the individual there was still connected with the physical plane in some way. Nature is kind enough to create an impassable chasm between the heaven state and the earth state, so that those who have passed on are entirely out of the reach of physical existence and of individuals on the physical plane. The main exceptions to this rule are people who have committed suicide, people who have been murdered, and those who have died a violent death. They remain in the Kama Loka for the remainder of the duration of the lifetime they had been destined to live on earth. It is possible for mediums and channellers to make contact with them but this is spiritually unlawful and can lead to seriously dire results. They must be left in peace and allowed to proceed unhindered on their eventual upward way. It is mainly the senseless and unensouled “shells” left behind in Kama Loka which are successfully contacted and connected with in mediumship and channeling. Because the shells retain a degree of memory, they are able to automatically and blindly recite and repeat certain details and pieces of information. People are deluded into thinking they are communicating with the real person whereas in fact it is only their “psychic corpse,” the cast off remnants of the old personality. Spiritualism, mediumship, and all forms of psychic channeling were condemned and opposed by the wise spiritual and philosophical traditions throughout the ages, most especially in India and the East. 11. Theosophy teaches – the vital importance of altruism, unselfishness, compassion, and living to help and serve others. It maintains that Universal Brotherhood is not merely a noble and lofty ideal but is eternally a fact in Nature. All is one because the ONE is All. Therefore it is selfish if we live unto ourselves alone. We are all part of the whole and there is no separation in the Universe. Personal desire, ambition, greed, and lust are all misguided forms of selfishness and it is selfishness which is the great curse of humanity and the cause of human suffering. The Bodhisattva ideal – self-sacrifice and renunciation of eternal bliss in order to always remain on earth as a selfless and effective server and helper of the human race, seeking no personal reward – is viewed very highly in Theosophy. Theosophy not only permits but actively encourages freedom of thought, freedom of belief, and spiritual and mental independence. One is free to accept or reject any philosophy, religion, science or thought depending on whether not it appeals to his/her own sense of what is right, true and just. The Theosophical Society (1) was officially formed in New York City, United States, on November 17, 1875 by Helena Petrovna Blavatsky (the daughter of a minor Russian nobleman), Colonel Henry Steel Olcott ( a civil war veteran and part of the three man commission appointed to investigate the death of Abraham Lincoln), William Quan Judge (a young lawyer), and others. It was self-described as "... an unsectarian body of seekers after Truth, who endeavor to promote Brotherhood and strive to serve humanity." Olcott was its first president, and remained president until his demise in 1907. In 1879, the principal founders, Madame Blavatsky and Col. Olcott, moved to India, where the Society spread rapidly. In 1882, they established the Society's International Headquarters in Adyar, a suburb of Madras (currently Chennai), where it has since remained. The America Section was then run by a young lawyer, William Quan Judge. In 1877, two years after forming the Theosophical Society, Blavatsky published her first major work, Isis Unveiled, a major feat because two years prior she was unable to read or write in English as Russian was her Mother language. Gravely ill, Blavatsky moved to Europe, finally settling in London. There she published her masterwork, The Secret Doctrine, published in 1888, which presents a comprehensive view of cosmic and human evolution, bringing together mythic, religious, and scientific material from many cultures to illustrate the universality of theosophy's basic concepts. In response to the many questions from inquirers, she issued The Key To Theosophy and, for those seeking to practice theosophy's altruistic ideals,The Voice of the Silence, aphorisms embodying the heart of Mahayana Buddhist teaching. Blavatsky also founded and edited the magazine Llightbearer and before her death in 1891 revitalized the theosophical work in the Occident. After Helena Blavatsky's death in 1891, the Society's leaders seemed at first to work together peacefully. Unfortunately, it did not last long. During the Ninth Annual Convention of the American Section, 1895, headed by Judge, eighty-three lodges voted for autonomy from the international Theosophical Society in Adyar. The international President-Founder, Colonel Olcott, interpreted this action as secession and revoked charters of those lodges, whose members reorganized under the leadership of Judge. Judge, was then accused by Olcott, and prominent Theosophist Annie Besant, of forging letters from the Mahatmas. He ended his association with Olcott and Besant in 1895 and Judge took most of the Society's American Section with him. He diligently carried on the work of advancing interest in Theosophy within the United States. By 1886 he had established an American Section of the international Theosophical Society (2) comprised of branches in fourteen cities. Rapid growth took place under his guidance, so that by 1895 there were 102 American branches with nearly six thousand members. Judge led the American group for nearly a year prior to his sudden death in 1896 while traveling across India. On Judge's death in 1896, Katherine Tingley was recognized as his successor. She moved the international headquarters of Judge’s American section to Point Loma, California (later to Pasadena), where she established the Raja-Yoga School and College, Theosophical University, and the School for the Revival of the Lost Mysteries of Antiquity. Tingley built the first open air Greek Theater in America, and formed youth and adult symphony orchestras with the headquarters staff and students. The original Judge American Section , then led by Katherine Tingley, is today known as the Theosophical Society, International Headquarters, Pasadena, California.(3). On Katherine Tingley's death in 1929, G. de Purucker became Leader of the Society. Shortly before his death, he moved the international headquarters to Covina, California, near Los Angeles .For three years after Purucker's death the Society was administered by the Cabinet of the TS. In 1945, Colonel Arthur L. Conger was recognized as leader of the Society. He concentrated on expanding the publishing program and restarting the work in Europe after W.W.II. He closed the Esoteric Section of the Society and moved the International Headquarters of the Society to Pasadena, California. In 1951 within the TS Pasadena a disagreement occurred over the successorship of the leader of the group. The TS Pasadena Group then split into two sections being the original Theosophical Society, Pasadena and the Theosophical Society, The Hague, Netherlands a/k/a Point Loma (40). Another section, associated with Judge's secretary Ernest Temple Hargrove was formed. However, Hargrove's faction no longer survives. Initially, Robert Crosbie, a member of the TS Point Loma, gave his support to Katherine Tingley and went to Point Loma in 1900 to be of assistance there. However, by 1904, he felt the original teachings of Theosophy were almost completely eclipsed by Katherine Tingley's sensational programs. Convinced that further effort was futile, he quietly left Point Loma in 1909 and moved to Los Angeles. The ULT group spearheaded by Robert Crosbie formed another major theosophical association, the United Lodge of Theosophists (5), based in Los Angeles, California. In November 1919, five months after Robert Crosbie's death, B.P Wadia, a predominant member of the Theosophical Society Adyar visited America and happened to come across ULT Los Angeles. There he discovered the works of W.Q. Judge who was considered a renegade by the Theosophical Society under Annie Besant and Col. Olcott. Furthermore, he found the reformation he was seeking of the Theosophical Society in ULT's Declaration of purpose and its mission of "pure Theosophy" without organizational distractions. He then went back to India with the hope of changing the attitude of the leaders of the Theosophical Society, to return to the original teachings, set right the wrong that was done to W.Q. Judge and mend the schism in the Theosophical Movement. Finding that his efforts were unsuccessful, he resigned from the Theosophical Society on 18 July 1922 and joined the ULT. Between 1922 and 1928 he stayed in America and founded ULT lodges in New York, Washington D.C and Philadelphia. And on his return trip to India via Europe, he established ULT lodges in Antwerp, Amsterdam, London and Paris. Back in India, he started ULT lodges in Mumbai and Bengaluru. The five American lodges that had opposed the 1895 secession retained their affiliation with the Theosophical Society in Adyar. Their history is traced only to the Theosophical Society-Adar. Under the leadership of Alexander Fullerton, they formed a new American Section of the TS known then as the “American Theosophical Society.” Extensive lecture tours by Annie Besant and Constance Wachtmeister elicited much new interest, so that by 1900 the organization claimed 1286 members and 71 branches. The “American Theosophical Society” was legally renamed "The Theosophical Society in America" (TSA) in 1934, and has existed under that name ever since. The administrative center of the TSA (called "Olcott" in honor of the President-Founder) is located in Wheaton, Illinois. Approximately 110 local groups in major cities of the country (of which our group in New Orleans is one) carry on active Theosophical work. A considerable number of members-at-large are affiliated directly with the TSA National Center. The original organization led by Olcott and Besant remains today based in India and is known as the Theosophical Society - Adyar. Focus and Teachings: This is the original Theosophical Society founded in New York City, United States, on November 17, 1875 by Helena Petrovna Blavatsky , Colonel Henry Steel Olcott , William Quan Judge, and others.The modern Theosophical Society in America ( a branch of the TS Adyar) bases its studies on Helena Blavatsky, but draws from a broad group of other Theosophical teachers, including Annie Besant ,Alfred Percy Sinnett, Charles Leadbeater ,Sri Ram Joy Mills, Robert Ellwood, and John Algeo and others. Being the oldest and largest of the Theosophical Organizations the the Adyar Society is today, not unexpectedly, is somewhat divided.. Some members follow the teachings of Judda Krishnamurti( who left the TS in 1929 to form his own organization), others follow the teachings of C.W. Leadbeater and Annie Besant (including the Liberal Catholic Church which Leadbeater co-founded with Bishop James Wedgwood), and others treat the Society as an open forum for discussing and teaching any type of spiritual ideas, some study and promote the teachings of H.P. Blavatsky. Not many of the Blavatsky students place an emphasis on the work and writings of William Q. Judge. Membership: Membership in the Theosophical Society is open to those who are in sympathy with its Three Objects. Basic National Dues are $60.00 per year, but reduced rates are available for families, students 25 and under, seniors 75 and older, and for multiple-year memberships. the quality that we should worry about. The dropping trend cannot be ignored in a scenario where world population is rapidly growing from 2 billion in 1930 to 7.5 billion in 2012.
International Headquarters: Adyar, Chennai, INDIA. Many paid employees and housing subsidies. International Influence: Branches and Lodges with members in almost 70 countries around the world. Its national section in the USA is known as “The Theosophical Society in America.” and is located in Wheaton, Illinois.This group consist of the five American Lodbes that remained faithful to the TS ADYAR Also, through its exclusive Esoteric School Section it owns and operates the Krotona School of wisdom in Ojai, California, as well as several camps around the USA.The TSA is funded primarily with payments from the Kern Foundation Trust and its wholly owned publishing group, Quest Books. Headquarters in the USA are at OLCOTT, Wheaton, Illinois. Leadership and Organization: An international president, who is decided by members of the Society voting in periodical elections. The last international president, Radha Burnier, died recently and has just been replaced by Tim Boyd, who is also the President of the TSA. A Sub-Group of members is found within the Adyar and American sections. Almost exclusively the leadership and privileges of that Group are afforded only to those who are members of the Esoteric School of Theosophy. These privileges can include paid teaching and administrative positions and free or subsidized housing. In turn those in the Esoteric School must follow certain rules and practices such as, among others, Vegetarianism, intensive study and avoiding all alcohol and illegal drugs. Focus and Teachings: This is the group that during the Ninth Annual Convention of the American Section, 1895, was headed by Judge,and convinced eighty-three American lodges to vote for autonomy from the international Theosophical Society in Adyar.Those who followed James Long became “The Theosophical Society – Pasadena” which today looks upon Randell Grubb as the Leader and Successor . In 1951 the original Point Loma Society split into two as a result of acrimonious disputes regarding who had been chosen as Col. Conger’s – and thus, in their view, HPB’s/WQJ’s/Tingley’s/de Purucker’s – true Occult Successor. Those who followed James Long became “The Theosophical Society – Pasadena” which today looks upon Randell Grubb as the Leader and Successor and those who followed William Hartley exist today as “The Theosophical Society – Point Loma” which is today headquartered in the Netherlands and has Herman Vermeulen as its Successor-Leader. The teachings and focus of both these organizations is literally exactly the same but neither will co-operate with one another. It focuses primarily on the writings and teachings of H.P. Blavatsky, William Q. Judge, Katherine Tingley, and G. de Purucker, with special and overriding emphasis on those by de Purucker.Has the largest theosophical Library online found at: http://www.theosociety.org/pasadena/ts/tup-onl.htm and available in 7 languages. Membership: Does not solicit membership. No dues, no documents to sign. If interested just join and contribute. Hours: Daily 2:00 to 4:30 p.m or by appointment. Closed on major Holidays and during the month of August. International Influence: National sections in the USA, Australia, Germany, Netherlands, Nigeria, South Africa, Sweden, and the UK. Almost all are now inactive, the only active branches and study groups being two in Germany, several in the Netherlands, and one in Belgium. The international headquarters did not provide a clear answer as to whether any meetings are still held there. The Society functions today mainly as a publishing outlet (Theosophical University Press) for Theosophical books. Leadership and Organization: An international Leader, who is always appointed by his/her predecessor as their successor, and remains Leader (equivalent to President) for life. There is no voting or elections. Each claims to be able to trace his successorship back to H.P. Blavatsky in a direct and unbroken line of chosen successors. The current international Leader is Randell C. Grubb. It , like the Pasadena group, focuses primarily on the writings and teachings of H.P. Blavatsky, William Q. Judge, Katherine Tingley, and G. de Purucker, with special and overriding emphasis on those by de Purucker. The TVN and the Pasadena Society were originally one international Society, which split into two on disputed “successorship” grounds in 1951. Its headquarters are now located at Tolstraat 154, in Amsterdam, Netherlands. (1) To diffuse among men the knowledge of the laws inherent in the Universe. (2) To promulgate the knowledge of the essential unity of all that is, and to demonstrate that this unity is fundamental in Nature. (3) To form an active brotherhood among men. (4) To study ancient and modern religion, science, and philosophy. (5) To investigate the powers innate in man. International Headquarters: At present it is established in the Blavatsky House in The Hague, The Netherlands, and formerly were respectively in New York, Point Loma and Covina, the latter two in California. International Influence: Several Lodges and Study Groups in the Netherlands, Germany, and Sweden. There are also members in other countries, predominantly the USA, but no regular meetings are held there. The Society also organizes two international conferences every year, the I.S.I.S. Symposium in the Hague and the Point Loma Convivium in San Diego, California. It is also heavily involved with the organization of the annual ITC or International Theosophy Conference. Currently the TVN has nine Lodges and seven Centers. It also has its own bookstore and publishing house. Four times a year it publishes the periodical Theosophia, a magazine first appeared in 1899; it is currently in its 114th year. Leadership and Organization: An international Leader, who is always appointed by his/her predecessor as their successor, and remains Leader (equivalent to President) for life. There is no voting or elections. Each claims to be able to trace his successorship back to H.P. Blavatsky in a direct and unbroken line of chosen successors. The current international Leader is Herman Vermeulen. Constant strong emphasis on the writings and teachings of H.P. Blavatsky and William Q. Judge, with occasional minor reference to the writings of Robert Crosbie (founder of the ULT) and B.P. Wadia.The United Lodge of Theosophists was founded in the United States in 1909 with the goal of preserving the original proposal of the theosophical movement. It now has some 30 lodges and ten study-groups in approximately 15 countries. The United Lodge of Theosophists (or ULT) is an informal and wholly voluntary association of students of Theosophy. It does not call itself a “Theosophical Society” but rather a voluntary international association for the study and promulgation of the original teachings of Theosophy. In terms of numbers, size, locations, and influence, the ULT is second in the Theosophical Movement today. While members may pursue whatever activities they wish, the Society itself is unsectarian and nonpolitical, open to all people regardless of race, nationality, class, creed, or gender. Its endeavor is to aid humanity rather than promote or strengthen the self-interests of its members. It believes that: "The true Theosophist belongs to no cult or sect, yet belongs to each and all." Membership: There is no membership in the ordinary organizational sense of the term. “Members” are instead spoken of as “associates,” since rather than belonging to something they are associating and connecting themselves with something. There are no costs or fees involved in becoming an associate but nor does it confer any special benefits or privileges. No-one is ever asked or pressured to become an associate. The way one actually becomes an associate is by signing their name on what is called the Associates Card, a yellow card which contains the Declaration on one side and the associate form on the other. There are presently at least a few thousand and certainly tens of thousands since the ULT was first begun in 1909. However, the numbers are not counted or published, since physical plane statistics are of little overall importance. What really matters in the ULT is quality, not quantity. The quality here referred to is quality of knowledge, understanding, application, appreciation, and devotion, towards the Eastern Esoteric Philosophy that has been given to us by the Masters and Initiates of the Trans-Himalayan Brotherhood. III. The investigation of the unexplained laws of Nature and the psychical powers latent in man. Beyond supporting its objectives, those wishing to join need not accept any particular beliefs, and members may belong to any religion or to none. International Headquarters: There is no headquarters. The ULT is an independent international association of students of Theosophy, more of an organism than an organization or Society. The oldest and largest ULT Lodge, where most of the printing and publishing is done, is in Los Angeles and whilst some refer to this as the “Parent Lodge” or “Mother Lodge,” this should not be construed in any organizational or authoritative sense. The ULT does not have policies, rules, bylaws, regulations, and so forth. It has only one guiding document, which is known as the “Declaration” of the United Lodge of Theosophists. In one sense it is a sort of “Declaration of Independence.” It is included below and is largely a compilation of statements and phrases by HPB and WQJ, quoted from various sources and publications. International Influence: There are currently Lodges and study groups in sixteen nations around the world, namely the USA, India, France, Canada, Belgium, England, Greece, Italy, the Netherlands, Sweden, Portugal, Brazil, Cameroon, the Dominican Republic, Haiti, and Mexico. Some countries have numerous Lodges and groups; others have only one. Leadership and Organization: There is no international president or leader, just as there are no local presidents, officers, or hierarchies. All Lodges are autonomous and self-governing and even those students who have become most responsible for the maintenance and upkeep of a Lodge and its activities are insistent that they be looked upon solely as “students of Theosophy,” never as teachers, leaders, or guides. Focus and Teachings: This group, primarily located in Brazil and Portugal, broke off from the ULT and started in September of 2016 by a worldwide group of students within the Esoteric community whose priorities include building a better future in the different dimensions of life.The origins of the group began on 21 October 2009, when the letters of 11 students, already associates of the ULT, were sent to Los Angeles. It was, at first, primarily a Brazilian and Portugese organization. The documents to organize were signed by ten students from Brazil and one from Portugal. Itrequested the new theosophical work to be registered in the archives of the United Lodge as a ULT Lodge in Brazil. Their public work had begun in 2007. On 14 September 2016, the active voluntary workers of the association decided to form an Independent Lodge of Theosophists, with no nominal or organic link to the United Lodge in Los Angeles. The independent Lodge will thus be free to work with more autonomy and to conduct its own research on a number of topics. It aims at expanding the bridge between the original theosophy of Helena Blavatsky and the humanist culture in Western countries. The goals of the Independent Lodge are to stimulate the search for eternal wisdom and to promote the study of the original teachings of modern theosophy. It also aims at creating mutual help mechanisms among planetary citizens. ILT is an independent effort. It sees the theosophical movement as an on-going pedagogical experience. Therefore the failings of the movement must be identified and corrected. The Independent Lodge of Theosophists recognizes no boundaries in human thought or in the theosophical movement. It takes as its main reference the works of Helena P. Blavatsky, but this is not an excluding choice. Her books are seen as only a key to the right understanding of universal literature. The association has various websites in English. It publishes since 2012 the monthly electronic journal “The Aquarian Theosophist”, which was founded in the year 2000 by Jerome Wheeler. In October 2013 “The Aquarian” published in paper the book “The Fire and Light of Theosophical Literature”.The monthly journal “O Teosofista” circulates in Portuguese since 2007. In 2014, “The Aquarian” published in Portuguese an annotated translation of the classic work “Light on the Path”, with a preface and notes highlighting for the first time in any language the point of view expressed by Helena Blavatsky on that work.The lodge directs the e-groups E-Theosophy (in English) and SerAtento (in Portuguese) at Yahoo Groups. Among other tasks, it also maintains a significant number of Facebook pages. One of the priorities of the Lodge is studying the birth of planetary consciousness, a process which brings about the awakening of universal ethics and brotherhood.While learning lessons from the past, the independent theosophists work at helping build a better human future. Applying their own discernment of right and wrong according to the original teachings of Theosophy, they use with realism the power of positive thought. Membership: Those who want to join E-Theosophy e-group at YahooGroups can do that by visiting https://groups.yahoo.com/neo/groups/E-Theosophy/info. There appear to be no forms to fill out or dues to pay. Objects: The goals of the Independent Lodge are to stimulate the search for eternal wisdom and to promote the study of the original teachings of modern theosophy. It also aims at creating mutual help mechanisms among planetary citizens. The Independent Lodge of Theosophists recognizes no boundaries in human thought or in the theosophical movement. It takes as its main reference the works of Helena P. Blavatsky, but this is not an excluding choice. Her books are seen as only a key to the right understanding of universal literature. International Influence: The association has various websites in English. It publishes since 2012 the monthly electronic journal “The Aquarian Theosophist”, which was founded in the year 2000 by Jerome Wheeler. In October 2013 “The Aquarian” published in paper the book “The Fire and Light of Theosophical Literature”. The monthly journal “O Teosofista” circulates in Portuguese since 2007. In 2014, “The Aquarian” published in Portuguese an annotated translation of the classic work “Light on the Path”, with a preface and notes highlighting for the first time in any language the point of view expressed by Helena Blavatsky on that work. The lodge directs the e-groups E-Theosophy (in English) and SerAtento (in Portuguese) at YahooGroups. Among other tasks, it also maintains a significant number of Facebook pages. Leadership and Organization: Some members are Carlos Cardoso Aveline who was born in Brazil in 1952, Carlos Cardoso Aveline is a journalist by profession and author of the book “The Fire and Light of Theosophical Literature”. He has other works published on esoteric philosophy and ecology. The editor of “The Aquarian Theosophist”. He is assisted by an editorial council.Also includes: Joaquim Duarte Soares and others. Focus and Teachings: The Temple of the People was founded in Syracuse, New York, in 1898 by Francia A. La Due and William H. Dower. Those halcyon days became reality in 1903 in San Luis Obispo County when followers of the Wisdom Religion — and an integral part of it, the theosophical movement — settled on land purchased south of Arroyo Grande by Temple of the People. The temple named the community Halcyon and the Golden Rule became the most important law governing the conduct of the residents. One of the first activities was the creation of a pottery studio and school, and, at first, a small printing establishment. The Halcyon Book Concern still is active. The temple’s magazine, called “The Temple Artisan,” has been published since the start. The Temple of the People in Halcyon is the international headquarters, and its membership has spread throughout the world. It is a continuation of the Theosophical teachings given to the world in the last quarter of the nineteenth century by Madame H. P. Blavatsky, a work carried on by William Quan Judge. It's headquarters are on 125 acres located in Halcyon, California, USA. Halcyon today consist of fifty-two single-family homes, of which thirty are owned by the Temple, as well as several small buildings used by the Temple, and just over one hundred residents. Almost all residents earn their living outside the community. A town plan was laid out by the Temple Home Association, which subdivided a portion and sold or leased out home sites. A print shop was established to produce a monthly magazine (which is still published), the Artisan, as well as other Theosophical literature. A general store and post office opened in 1908. The Temple continues to function today as a small, but international, theosophical society with headquarters at Halcyon. Weekly services at Halcyon are held on Sundays in the Blue Star Memorial Temple building, as well as a fifteen-minute healing service held there every day at noon. The Halcyon Temple was built in 1923–24. Its triangular shape is meant to symbolize the heart as well as the trinities that are central to many of the great religious teachings throughout history. The seven doors are symbolic of the “key number” of the universe (seven days in a week, seven notes between octaves, seven colors of light). All inside dimensions and angles are multiples of seven. The temple still functions as the center of the community. Though no longer a cooperative, half of the people currently living in the town are practicing Theosophists. The Halcyon community, clustered around the Blue Star Memorial Temple, is actively dedicated to living the Teachings of the Temple. The Temple of the People has always recognized the value, importance, and self-responsibility of each individual. Its reason for being rests on the inviolability of the Golden Rule. Since its inception, the teachings of the Temple have been circulated around the world. A Temple group began in Germany in the late 1920’s, another formed in London in the 80s, and we have a growing number of members in West Africa. FIRST: To formulate the truths of religion as the fundamental factor in the evolution of the human race. And this does not mean the formulation of a creed. SECOND: To set forth a philosophy of life that is in accord with natural and divine law. THIRD: To promote the study of the sciences and the fundamental facts and laws upon which the sciences are based, which will permit us to extend our belief and knowledge from what is known to the unknown. FOURTH: To promote the study and practice of Art on fundamental lines, showing that Art is in reality the application of knowledge to human good and welfare, and that the Christos can speak to humanity through Art as well as through any other fundamental line of manifestation. FIFTH : The promotion of a knowledge of true social science based on immutable law, showing the relationship between man and man, and man and God and nature. When these relationships are understood, we will instinctively formulate and follow the law of true brotherhood. Religion, Science and Economics - are the foundation stones of the Temple. There can be no true religion without its scientific basis, and there can be no right economic system not based on a science that is religious and a religion that is scientific. Leadership and Organization: Eleanor L. Shumway currently serves as Guardian in Chief of the Temple at the groups headquarters in Halcyon, New York. The London group was established in 1986.Additional groups are located in France and Germany. In 1902, Rudolf Steiner became General Secretary of the German/Austrian division of the Theosophical Society (6). He maintained a Western-oriented course, relatively independent from the Adyar headquarters. After serious philosophical conflicts with Annie Besant and other members of the International leadership on the spiritual significance of Christ and on the status of the young boy Jiddu Krishnamurti most of the German and Austrian members split off in 1913 and formed the Anthroposophical Society (7). The latter remains active today and has branches in several countries, including the US and Canada. The Theosophical Society in Ireland (8) based in Pembroke Road, Dublin, is a wholly independent organization which claims to have received its charter directly from Helena Blavatsky. The original group contained (among others) George W. Russell (A.E.) 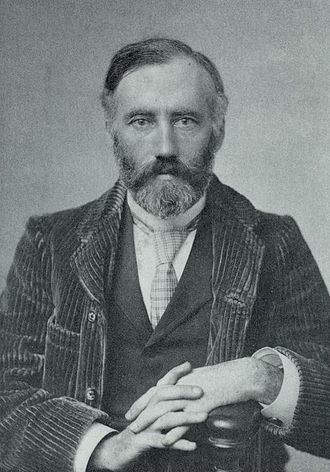 poet and mystic, and the leadership role later fell to Russell's friend P.G. Bowen, (author and teacher of practical occultism) and later still to Bowen's long time student Dorothy Emerson. The current leadership of this group were students of Emerson. The independent Dublin organization should not be confused with a similarly named group affiliated to Adyar which is based in Belfast but claims an all-Ireland jurisdiction. All of the above organizations together are know as the Theosophical Society and all work together to promote Theosophy to the World. P.S.-As the Theosophical Society has spread widely in the world, and Believers of all religions came into its ranks without abandoning dogma, teachings and beliefs of their particular creeds, it seems useful to emphasize that no doctrine or opinion, by any person, who can be taught or supported, is required to fulfill the acceptance of members to the Theosophical Society, and there is none that they can, at their discretion, accept or reject. Approval of the three objects is the only condition imposed on members.